Your Special Needs Child: Am I Missing Out? Flip through my high school yearbook, and next to my name you'll find a list of 10-15 activities. I was constantly running from one thing to the next. I was obsessed. Not obsessed with drama club, or vocal groups, National Honor Society, or sports. No, no single activity captured my affections and heart. Rather, I was obsessed, or terrified, rather, with the thought that I was missing out on something. And so I did everything. My days of marching band and softball are far behind me, but the fear of missing out on life still pervades my mind and thoughts. And nothing presses on this fear so much as having a child with special needs. Are others parents, other kids, getting to experience something better because their child doesn't wrestle with this? Because if your child has limitations, then by default, you also have limitations. For some, they are most severe. But for all, the temptation exists to feel as if there's a part of life that you will never experience. You watch other parents and what they're able to do with their kids, or without their kids, and you weep, knowing you may never experience that. Am I missing out on a full night's sleep because my daughter vomits throughout the early morning hours? Am I missing out on a "family bonding moment" because we never all sit down at the table together? Did I miss out on something when others held their precious newborns while I only watched mine through a sheet of glass? Am I missing out on enjoying my second-born, because I'm constantly at the highchair with my first-born? And the answer is...YES. Yes, I am. And here's the hard part. It's not imagined. It's not feeling "victimized." It's not a simple - "Be thankful for what you have, because others have it worse than you do"- kind of story. The reality is -- You ARE missing out. And probably on more than you even realize. Talk about my biggest fear coming to life. And the temptation is always to look at the immediate --- seeing with our eyes only those things that we cannot do, and grieve as those who have no hope, as those who look at the very thing they're missing out on think that's all there is. We forget there's more to this life. It's like the small child who cries because his parents say he may not have a piece of candy before dinner, because it will ruin his appetite. But my friend gets to have one! He protests with sad desperation, because he is missing out. And truth be told, he is right. All the while, he has no idea that after dinner, the most delicious ice cream sundae awaits him. But he is missing out on something small. Something incomparable. Something so insignificant in comparison to what's to come, that the loss, held in the light of the gain, nearly disappears. A paltry piece of candy when a brownie sundae awaits. And the reality is, eating the candy first only lessens our enjoyment of the sundae later. If we could only get a glimpse into the "eternal glory" being prepared for us, the beautiful reward for faithful parenting, the "well done, my good and faithful servant" spoken over us by our King because of the tireless sacrifice towards your children, we would never think here and now that we are "missing out" on something. glory that far outweighs them all." When you miss out in this life, for the sake of loving your children, you are actually securing -- achieving -- for yourself something better. Do not envy what others may be able to do in this life. When heaven comes and all is made right, your King, who has entrusted such a precious soul to you, will make up abundantly for all things lost on this earth. Face with strength and perseverance that which God has called you to, and courageously "miss out" on those things which others enjoy. Joanna's closet overflows with cute clothes. Frilly dresses, skinny jeans, corduroy jumpers. But there's one item in particular that's especially fitting for our daughter - a pretty pink floral t-shirt with 3 words sprawled across the front: "Daddy's Happy Girl." And the shirt couldn't be more true. She may be the happiest "daddy's girl" to ever walk the planet. On the one hand, I love the fact that she loves her daddy. I love that the first words she whispers when she wakes up are "Daddy downstairs?" I smile knowing that her daddy's kisses can heal all wounds, right all wrongs, and fix all things. 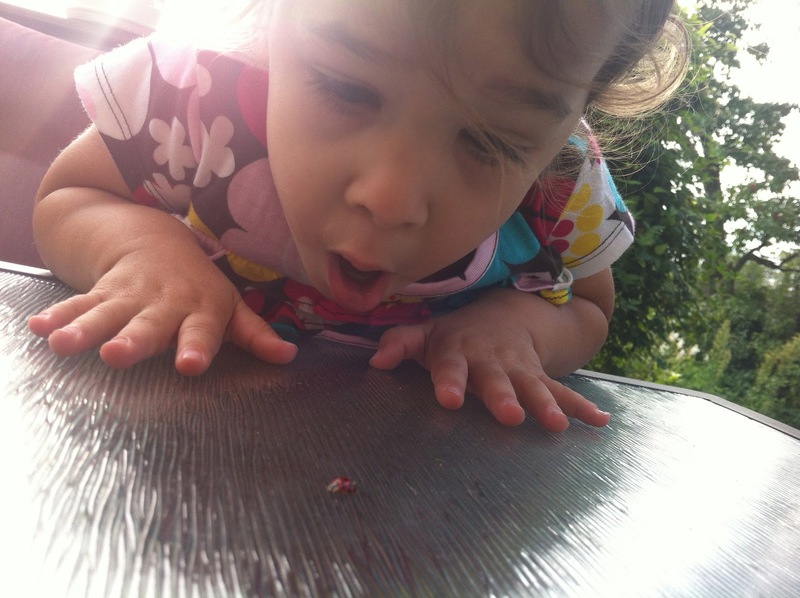 I cherish her childlike prayers, asking Jesus to help "Daddy with the big kids." And my heart brims with joy, knowing that when she's sick, sad, or in need of comfort, she finds rest in peace within the arms of her father. I long for my little girl to know that her Daddy loves her, and that her Heavenly Father cherishes her even more! But on the other hand, I resent it. I feed. I change. I dress. I bathe. I play. I teach. I train. I instruct. I pray. And I feel utterly replaced and unappreciated when MY care of Joanna goes unnoticed, when my daily, and difficult, investments are quickly overshadowed by her "daddy love." What I WANT is to be the fun one. The one she runs to at playtime, asks for at bedtime. What I LONG FOR is her joyful smile and appreciative giggles when I meet her basic needs. I want Joanna to look at her mommy, and without a doubt, think she's the coolest woman in the world. Maybe even cooler than her daddy. I WANT to be appreciated. And so I struggle when, after meeting all of her needs, she longs for someone else. A dear friend encouraged me recently with Proverbs 31 - that the children of the faithful woman will rise up and call their mother "blessed!" They will publicly praise her, thank her, appreciate her. But her children don't rise up immediately. They do not publicly praise her right away. It is only after days, weeks, years, of faithful daily, sacrificial investment, that they look back and begin to see her faithfulness to care for them, train them, nurture them...sometimes even at the expense of "fun." 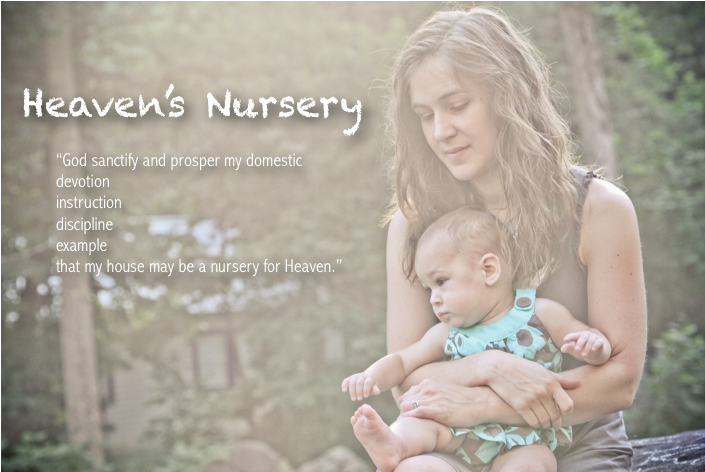 Mothers -- you are sowing seeds in the hearts of their children. You may not be the "fun one" now, because caring for your children may sometimes, often, mean that you do things they do not like. Things that don't make you very "fun." Things that may not make them "mommy's happy girl." But the Bible says that your faithfulness in the little things will reap a harvest in the long term. And even your kids will one day see it. Do you remember the opening scene of Beauty and the Beast? On a cold wintery night, an old beggar approaches a forlorn castle, seeking shelter from the one inside. Yet instead of taking her in, he disdainfully casts her out. Oh, if only he knew! For the old woman was not who she appeared to be -- she was actually a beautiful enchantress, who would curse the selfish prince, for he could not see past her outer shell to see the person within. We all know its a fairy tale. But perhaps we're more similar to the prince than we realize. We too forget that there's royalty in our home. Jesus implores His disciples: when you care for the weak and the helpless -- for the "least of these" -- you are indeed caring for Him. Every faithful act of every faithful parent is indeed real service to the King. The most menial tasks of your day -- feeding, clothing, changing, caring -- can in actuality be the most significant, for you are actually serving royalty. Most children will outgrow the helpless stage, the need to be fed, clothed, served, cared for when they're sick. But not all children. Some of you may be spoon feeding your 6-year-old. Changing diapers on your 12-year-old. Making decisions for your 30-year-old. Some kids, in some areas, may never outgrow their helplessness. Your faithful, long-suffering, care for the "least of these" children, is in fact a gift of faithful service to the King of Kings. 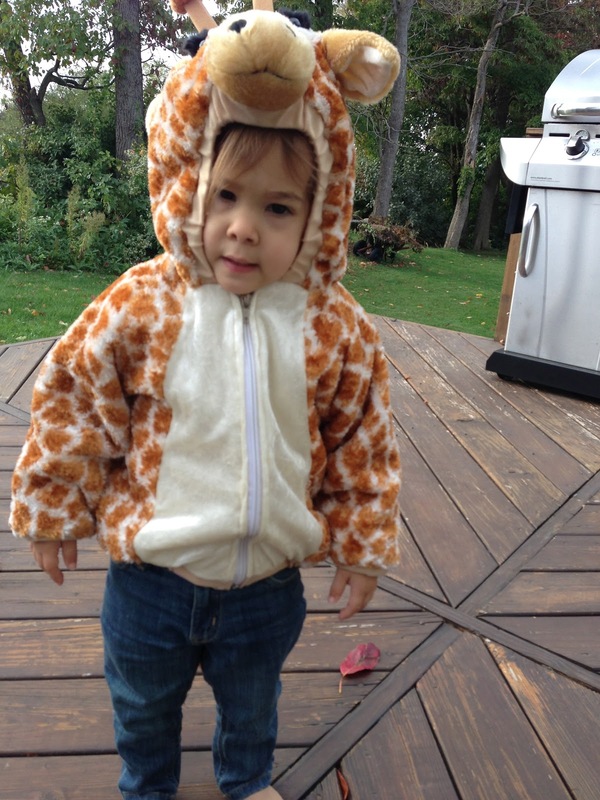 And the cutest little 32-inch giraffe is currently running around our home. Last year, it was a monkey. The year before, a bumblebee. It makes sense why kids (and adults) love Halloween. There's something appealing about dressing up as something that you're blatantly not -- pretending to be a 20-foot giraffe when in reality, you can't even reach the top of the kitchen table. Once I reached high school, I declared my trick-or-treating days over. It may have been because my mother always made us reuse the same costumes each year in new and creative ways, and my creative juices finally ran dry. (Sorry, mom.) Or, maybe I was just a little too old, too mature, too sophisticated, to parade around in some whimsical outfit, collecting candy from people who never even got a glimpse of my actual face. I'd rather be the real me. Yet even though I've long since retired my dress-up clothes, it's in my nature to don a mask and try to fool others into thinking I'm someone else. *I highlight to others all of my successes as a mother, but tend to avoid discussing my failures. *I tell young women how their hope and security must only be in Jesus, yet I constantly chase after my own worthless idols. *I struggle to ask forgiveness from my family, because aren't I always right? Really, we don't ever outgrow "dressing up." One honest, self-evaluative look at our hearts leads us to despise what we find. And so we spend our whole life pretending to be someone we're not -- pretending to have our act together when really we're just a mess. Pretending like we're "good enough" in front of a God who can see right through the façade. In fact, Christians confess all sorts of failures...yet in the arena of parenting, we're tempted to pretend we've got it all together. We justify our decisions, condemn books that disagree, tell other young parents the "do's and don'ts" of caring for children, and ignore the wisdom of older generations. After all, parenting has changed in the last few years. But deep down inside, we all know exactly what we are. Broken people playing dress up. But there's hope for people like me, people like you, people who can't get their spiritual act together but pretend they're fine anyway. Jesus Christ came, clothed in garments of perfect righteousness, and His inside matched His outside. He pleads with me to discard my costume, my meager attempts at self-sufficiency, and instead take HIS clothes - His perfect record. Jesus has come for those willing to say, "enough with my paltry costume - my pathetic pretending!" He's come so that we may rest -- wholly and completely -- on His perfect, and finished, work on the cross. The gospel frees us to be ourselves. The gospel frees us to shout this is the real me! And the real me is impatient, and angry, and selfish, and stubborn. But the real me is also covered in the righteousness of Jesus, the One who is making me patient, and kind, and sacrificial, and humble. So go get dressed up in costume. Dress your kids up. Your cat. Enjoy the one day where it is socially acceptable, expected even, to exchange the real you for a 20-foot giraffe. But the other 364 days, know that you who were broken, God has clothed in the spotless garments of Jesus Christ. You can take off the silly costume now. There's a war raging in our home right now -- a war against germs. And they are winning. Germs are taking over our home. With all four of us sick, our trashcans overflow with tissues, we cough more than speak, and I swim in hot tea with honey and lemon. Every piece of furniture has fallen prey to Joanna's nose, as our home has become her giant personal Kleenex. And we all respond differently when sickness hits; Joanna throws up more. Luke sleeps more. I whine more. A lot more. Most often, I whine that I don't get any "sick days" as a mom, or that we don't have easily available family help, or that Joanna doesn't get a break from the viruses that are constantly attacking her immune system. My daughter loses weight, my husband loses his voice, I lose my patience. We are cooped up inside the house so we don't spread the germs to anyone else. I find myself counting down the days until it's over -- just buckle down and make it through! Sickness equals inconvenience. Because perhaps sickness is more than an inconvenience. Perhaps its an orchestrated reminder. Sickness reminds me of my Savior. It reminds me that I am weak and dependent. It reminds me that even though my nose may run, my eyes my water, my throat may be raw, and my vocal cords impaired, this is only a temporary and physical sickness. I had a far greater sickness of my soul that Jesus came to heal. “Those who are well have no need of a physician, but those who are sick. I have not come to call the righteous but sinners to repentance." Sickness forces our family to slow down - all of a sudden, we're only focused on the essentials: getting enough food, sleep, and medicine to heal our bodies. They're the only things that matter. And perhaps it's exactly what I need living in a society enslaved to American Dream prosperity and the middle class suburban lifestyle. I need someone, something to slow me down and remind me of the essentials - Jesus Christ came to heal me from my spiritual disease, the cancer ravaging my soul. And it's the only thing that matters. Our "new normal" was established soon enough. We spent many of our hours filling Joanna's stomach with specialized food, and then cleaning her up when her body rejected it. We spent many of our days each week visiting specialists and scheduling more appointments. 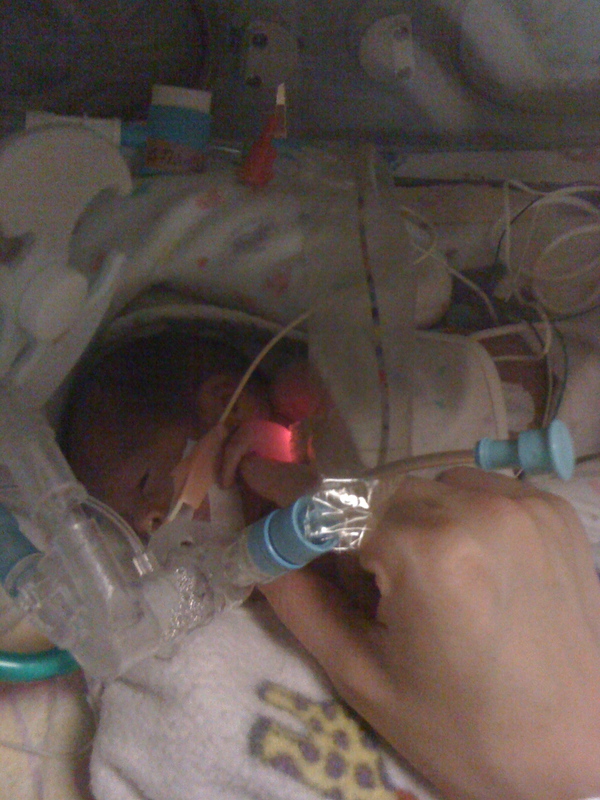 We spent many of our nights listening for the shrill beeping of her apnea monitor, alerting us that she'd stopped breathing. It seemed that every other month that passed, we'd drop another specialist. "She looks good to me," they'd say. "You're lucky. " And to them she was another unlikely statistic, but to us she was a breathing example of God's power and grace. He is still fighting for her. And we'd continue to have hard days, when she'd vomit around the clock, and we'd be back in the hospital, and we'd add another medication in an effort to control her body, and go to another specialist who couldn't figure out why she was always sick. But for the next several months, she would continue to grow, develop, meet all of her milestones to the surprise of her therapists and doctors. At a GI appointment in Philadelphia with a top doctor, we were told - "I've been in this field for 30 years. 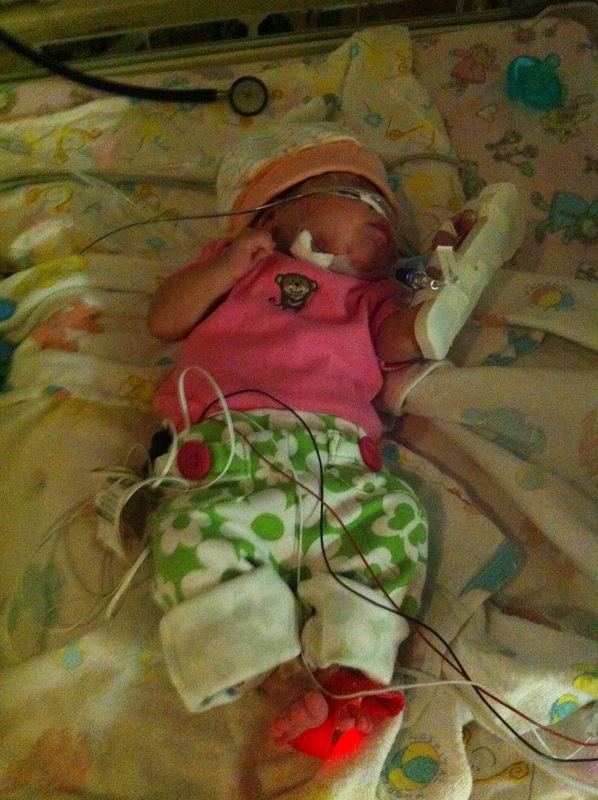 I have never seen a 24 wk preemie doing as well as your Joanna." God was confirming to us that in the midst of fear, inconvenience, and lingering medical questions, he was taking care of her. With each passing month, Joanna moved closer and closer to "normalcy." And as the gap grew smaller, so did my capacity to remember God's faithfulness. She sat across me with a small little 4-year-old in her lap. Her other daughter was at home. The woman I was speaking to had triplets, 23 weeks gestation, and was sharing her story. Her situation started remarkably similar to mine, yet with such a different end. Her only son had died hours after delivery. The little girl sitting in her lap was blind. She had severe cerebral palsy, and the mental capacity of an 18-month-old. She was there for the same reason I was - her child lacked the ability to eat. And so much more. I watched her cradle her daughter and heard her speak words of joy and thankfulness, echoing the sentiment of every other mother - I wouldn't trade my children for the world. Yet her child was not like every other mother's. Her child would never look into her mother's face, would never walk without her mother's support. They would never speak on an adult level or share breakfast together because this little girl couldn't even get food down into her belly without the help of a tube. And once again the question would come, like it did back in the hospital - "Why me, God?" Except this time, it was different. This time, it was a "Why would you be so kind? Why would you save MY child when others have been lost?" And His whisper comes to me through the tiny fingers and vacant eyes of the little girl across from me: Do not forget. God has been faithful to us. He continues to prove His faithfulness, even when I am unfaithful and forget His kindness, His protection, His plan far grander than my own. 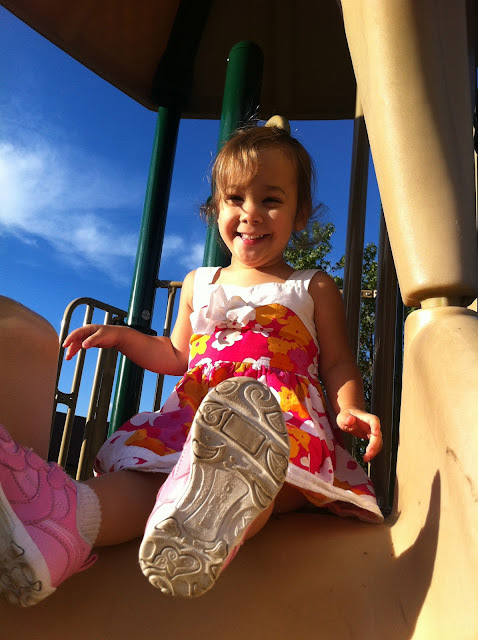 Just shy of 2 1/2 years, Joanna's story has already changed lives. And the only thing she did was LIVE. Because the LIFE in her breathes the goodness of Her Creator. And the WEAKNESS in her proves the power of Her Protector. And though she doesn't know it, and doesn't even care, God delights in using the weak vessels of the world to show His greatness, His glory, His Good News. Give me the grace, oh God, each time I lay my eyes on this "weak vessel" of mine, to remember. I stood over her incubator when she was 2 hours old, watching a machine pump air into her tiny chest. Her nearly translucent skin was already marred by IV's and needle sticks. If she was in pain, I wouldn't have known. Her vocal cords weren't strong enough to make a sound. I heard "congratulations" a hundred times -- was I supposed to be celebrating? I felt a strange mix of sadness and joy, and what emotion was appropriate? The parenting books never prepared me for this one. And I don't feel it, but I know I need it, and so I remind myself of Truth and sing with my lips because choosing to rejoice and choosing to believe is the way God feeds me grace. And so this song would resonate in my heart and in my hospital room. "Allow yourself to get close to her," my mother encouraged me. "Don't distance yourself out of fear." Wise words from a woman who knew the pain of parenting - both loving and letting go. I would stand there and watch, feeling guilty that my heart was not burning with affection towards this tiny person. 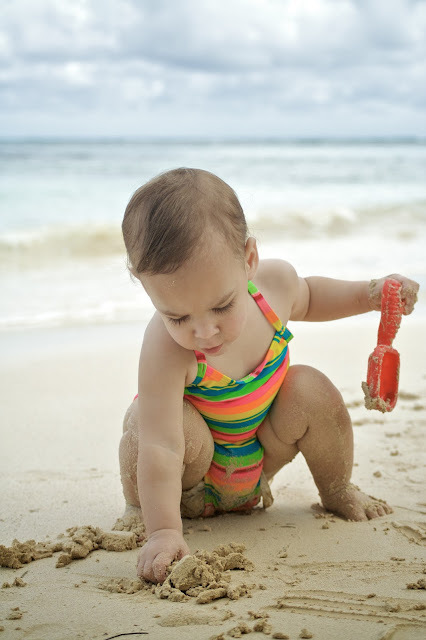 God, create in my heart a fierce love for this child. Within minutes of my standing there, her arms and legs started flailing rhythmically. It didn't stop. I looked around for explanation at the doctors rushing towards us. "She's having another seizure," I was told as nurses frantically pumped medication into her IV port. "You may want to step outside." "It doesn't look good for her," the main neonatologist told Dave and I a few hours later. "She has citrobacter in her blood. A seizure would indicate that it's gone to her brain. We're doing the spinal tap now. If it comes back positive, I'd encourage you to think long and hard about whether you want to keep her on these machines. Citrobacter in the brain will likely render her paralyzed and retarded..."
A soft knock at the door an hour later. A different neonatologist. "I'm not sure how it happened, but the citrobacter is gone from her bloodstream." A gentle whisper from above - I will fight for her, you need only to be still. Prayers answered, and more reasons to pray would arise. Hours seemed to crawl. What do you do with time when life hangs in the balance, other than pray that the days would pass quickly? 2 am. I would bring milk into the ever bustling NICU. Joanna wasn't being fed anything, but it was my sole contribution as her mother. And so every 3 hours, I'd bring in more, stockpiling for the day that she needed it. Days passed. She grew stronger. "If she can make it through the first week, she has a good shot of survival," we were told. She made it through the first week. For weeks, the pattern would hold: two steps forward, one step back. We would visit every day. We would look at her. We would talk to her. We'd pray for her. We'd poke our fingers through the incubator holes and touch her precious fingers. We'd stare at her monitors. Our hearts would rise and fall in tandem with her O2 stats. Every once in awhile, they'd drop low enough and an alarm would sound, and nurses would come rushing in to raise her oxygen levels. Our hearts would sink. There were challenging days, where I'd choke back tears and fight the lump in my throat and pretend to be brave. "There's a hole in her heart that's not closing," we were told. "Her underdeveloped eyes will likely need surgery." "She has another infection; another round of meds." "She's had another seizure." But there were joyful days too. "She tolerated .5mL of breastmilk." "Her lungs look normal." "Another head ultrasound....there's no bleeding in her brain." But all days were ordained. We would celebrate every ounce gained, every week that passed, every test that came back normal. And we would celebrate our God who was bigger than statistics, bigger than viruses, bigger than undeveloped organs, because He was the One who fashion them. And He was fighting for her. I held her for the first time when she was 1 month old. My heart was pounding and I was sobbing with joy, and her temperature was dropping and she struggled being out of her incubator, but those precious 30 minutes were the Lord's way of whispering - this is how I feel when I hold you, my daughter. And then, the call came at the end of June - her body stopped tolerating the milk - she would be airlifted immediately to a larger hospital. How could God be working through a giant leap backwards? Her oral feedings would stop and antibiotics begun. She would undergo two surgeries - one on her heart, another on her eyes. There would be no more holding her. And He fought for her. Over the next several months, He would continue. She gained weight. She got off the ventilator. We would get to hold her. Every day. And then one day, doctors started talking to us about going home. The battle wouldn't end. Medical problems are not confined to the four walls of the ICU. We'd take them home with us. But our God, her advocate, had proven His faithfulness. He was simply moving the battlefield. 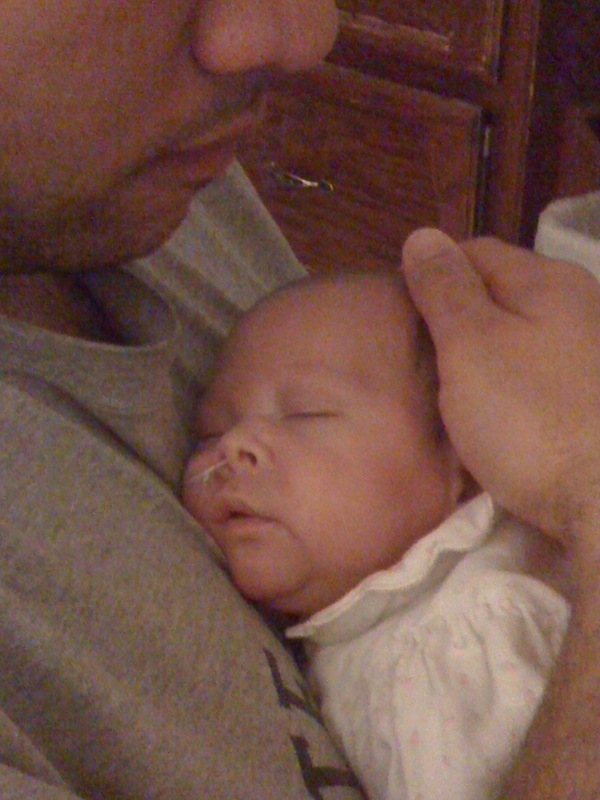 Two years ago today, Sept 30th 2010, we brought home Joanna from the hospital after 5 months in intensive care. God had given us fresh eyes to see His gifts, His miracles, His perspective. I was aware each day that I was holding a miracle, feeding a miracle, singing soft lullabies to a miracle that apart from the saving work of God, would not exist. Yesterday, I read Dueteronomy 8. “Take care lest you forget the Lord your God by not keeping his commandments and his rules and his statutes, which I command you today, lest, when you have eaten and are full and have built good houses and live in them, and when your herds and flocks multiply and your silver and gold is multiplied and all that you have is multiplied, then your heart be lifted up, and you forget the Lord your God, who brought you out of the land of Egypt..."
Do you know how many times the words "forget" and "remember" appear in the Old Testament? If forgetfulness were an Olympic sport, I'd be the gold-medalist. I'm amazed at my own propensity to forget the wonders and works of God, just like the Israelites quickly forgot the God who saved them. Late April - flowers blooming, temperatures rising, little fists and feet kicking inside my growing belly. My heart was filled with a newness and beauty that matched the changing season. I headed off on a weekend Women's Retreat with my church - the topic? 1 Peter and the Reality of Suffering. I cried over coffee with a friend only a few days later. What could God be preparing me for? My fearful self reasoned that He would only teach me about suffering if He was going to introduce it, and soon. Only later did I realize that He was feeding me with morsels of grace, long before I needed them. April 29th, I woke up with a bit of blood, unconcerned, since it had happened earlier in the pregnancy. Off I headed to Target with a dear friend to complete a baby registry. Heading to campus later that evening, at the encouragement of Dave, I called my doctor to tell her about the spotting. She told me that I needed to come into the hospital, just to make sure everything was fine. I agreed that I would, assuring my husband that I would see him at home as soon as they cleared me. Dave was teaching that night on Romans 8. Several hours later, I learned that I would not, in fact, be returning home. The IV rhythmically dripped medication into my exhausted body as I was placed in the ambulance and transported to a larger hospital. My body was going into labor; I couldn't feel it, and I could do anything to stop it. "23 week babies don't normally make it," we were told. "And if they do....well, life doesn't often look too great for them." After poking and prodding and needles and fasting, I was told that I would have emergency surgery to stop our daughter from being born. I woke up from anesthesia, and never has a single word held so much discouraging weight - unsuccessful. "Just hold her in as long as possible," I was told. "Every day will help." And so I did. How does lying still so long produce anything of value? For the next ten days, I would cry each morning at 5am, when they would come in to draw my blood. We'd pray against infection. I would cry again at 7am when the neonatologist would come in and give us our "stats" for the day: "25% chance of survival, 80% chance of serious complication." We'd pray against statistics. We would pray for wisdom each day - what to do if today is the day she comes? I cried to my mother that I wasn't cut out to take care of a special-needs child. I cried to my husband that I'm sorry because my body can't seem to hold in a baby. I cried to the Lord that His home is best, and that if my body wasn't a good home for our sweet daughter, and this world wasn't a good home either, then it must be because He longed to welcome her into HIS home. I cried mostly knowing that I needed to let her go before I even got to hold her. Because every parent needs to let go of their child - some when they go off to college at 18, others before they see the first ultrasound. Every parent must say at some point - This is God's child...a gift He entrusted to me for a short while. We cried together. Others cried with us. For us. Perhaps though, the most precious tears shed were those of our Heavenly Father, who weeps with us in our sadness and comforts us as deep seeded dreams slip away. He knew the pain of losing a child. "If she comes naturally," we were told, "She'll have bleeding in the brain. Don't birth her naturally." "And if she's breeched, the extra pressure on her head will almost certainly cause more damage." We were crippled by fear of the "what-if." Never had decisions such as these rested in our hands. Our first opportunity to be the advocate for our daughter -- but what to decide? 10 painstakingly slow days. We would watch the clock knowing that time was our hero, but even time couldn't save our child -- only the Lord could. We waited. And we tried to imagine how life would change. Would we leave the hospital soon with only the memory of a child? And then early one morning, her heart rate dropped and my body responded with contractions, and the planned emergency C-section just wasn't fast enough -- our daughter was born before the doctor had time to suit up. Joanna Grace -"God's gracious gift" - entered the world on Mother's Day, May 9th, unable to breathe or scream. 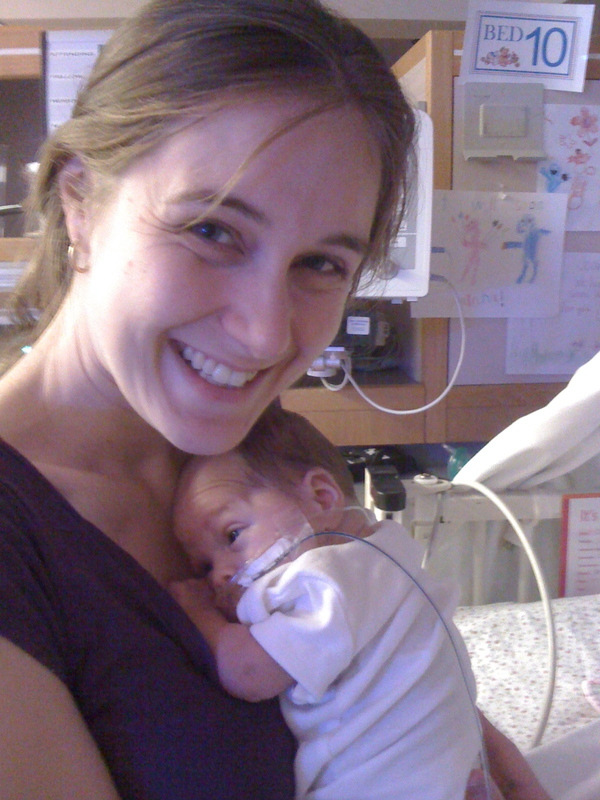 I didn't hold her, I didn't see her, as they whisked her off to the NICU to begin resuscitation. She was the size of a Coke can, weighing 1 lb, 2 ounces. The nurses hesitantly told us that she was a determined fighter, but I disagree. A 1-pound baby can't do too much fighting. God was determined to fight for her. Remember the works of the LORD. She eventually opened up the present on the screen, discovering, much to her dismay, that it was NOT a green horsie. Sadness ensued. “Hon, you need to be thankful for the gift you’ve been given,” I found myself shouting from the kitchen. I’m not a 2-year-old. But I get it. I understand the plight of my daughter, who longs for a gift they haven’t been given, and despises the one they just opened. Think back to your Christmas-time experiences as a 6-year-old. You’ve been anxiously waiting for Christmas morning to come, and it finally does, and you tear into the presents hoping desperately for that new doll, or computer game, or paint set, or robot, but you open the box only to discover your most frequently-received, and most-despised gift…new clothes. I find myself shouting “Green horsie!” on most days – demanding a gift from God, telling him what I think I want, upset when the gift I open isn’t what I’ve asked for. Why can’t I take my own advice? Be thankful for the gift I’ve been given? SEE it as a gift, and not a curse, (like new clothes to a 6-year-old)? My Father, the best gift-giver, isn’t arbitrary. He isn’t guessing. And He certainly isn’t frowning when He hands us gifts – He chooses each one carefully, perfectly, specifically, because he knows us intimately and loves us dearly. If I am a daughter of the King, then ALL things can be beautiful, because all He gives are gifts. What I see as broken, messy, and ugly, God declares a gift. I may not be able to say “thank you” in the moment, but one day in heaven, I will praise God for every gift he has ever given, thanking my Father that he gave me the BEST, and didn’t just fill my life with petty green horsies.